Position a fan across from a window, so the wind from outside and the fan combine in a cooling cross-breeze. Apply ice packs or cold compresses to pulse points at the wrists, neck, elbows, ankles, and behind the knees. Hot air rises, so set up your bed as close to the ground as possible to beat the heat. Take advantage of natural light as much as possible, and keep rooms cool after dark by using lights minimally. 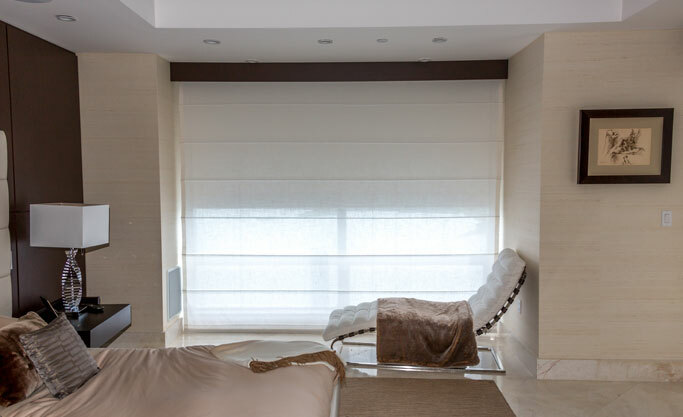 And last, but not least, get an automated roller shade system, with which you can adjust the entrance of light to the room from wherever you are. Our shades are made to block sunlight and heat thus protecting your house from UV rays.